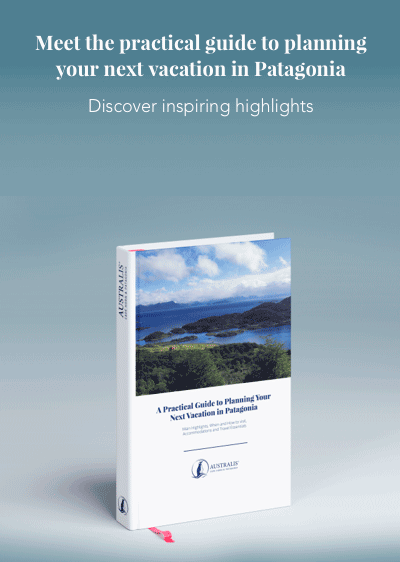 Patagonia might seem a complicated destination to reach, but a reliable network of flights from the two capitals, Santiago (Chile) and Buenos Aires (Argentina), to the main cities in Patagonia makes this a straightforward trip to organize. Booking flights as far in advance as possible is essential, while buses and car rental are transport options ideal for those with a longer vacation period and who are happy to travel at a more leisurely pace. Visitors to Chile will normally fly into Comodoro Arturo Merino Benítez International Airport (Santiago International Airport, SCL) 9-miles (15 km) north-west of the capital city. American Airlines, Delta Airlines and LATAM have direct flights to Santiago from New York (one daily), Miami (two to three daily), Dallas (one daily), and Atlanta (two daily). Qantas, Iberia, Alitalia, Air France, Air Canada and from January, British Airways, also fly directly from Sydney, Madrid, Rome, Paris, Toronto and London Heathrow. Most visitors flying from outside of South America land into Ministro Pistarini International Airport (Ezeiza International Airport, EZL) 14-miles (22 km) outside of Buenos Aires. Direct flights to Buenos Aires arrive from New York (one daily), Miami (one to two daily), Dallas (one daily) and Atlanta (one daily). British Airways, Lufthansa, Iberia, Air France, Alitalia, KLM , Air New Zealand and Turkish fly from London Heathrow, Frankfurt, Madrid, Paris, Rome, Amsterdam, Auckland and Istanbul. LATAM and Sky Airline are the carriers that fly internally between Santiago and Chilean Patagonia. In Argentina, Aerolíneas Argentinas, LATAM and Líneas Aéreas del Estado are the main domestic carriers. For those on a smaller budget or with more time to travel, buses are an easy and surprisingly comfortable form of transport in Patagonia. If you’re hoping to journey between towns and cities in Patagonia, or cross the border into the neighboring country, buses are the easiest method. Companies vary by region, but the more expensive outfits universally offer modern, Brazilian-built coaches that are designed for long-distance travel. Hot meals and snacks are served on longer journeys and coche cama (a seat that reclines 160° or even 180° degrees in some cases) is a more expensive, but strongly recommended, investment. For overnight journeys, these seats provide a significantly higher level of comfort and legroom. During high season or public holidays, it is recommended to buy bus tickets at least a few days in advance. Out of season, bus tickets can normally be bought on the day of travel. It is possible to buy them online, although tourist agencies can often arrange bus transport for a nominal fee or tickets can be bought directly from kiosks in the main bus terminal of each city and town. Travelling through Argentina by bus is made easier by the two main highways that run the length of Argentine Patagonia. Ruta Nacional 3: this highway passes along the Atlantic coast from Buenos Aires, through Puerto Madryn, Trelew and Río Gallegos. From here, it crosses the Strait of Magellan via ferry to reach the Tierra del Fuego archipelago and Río Grande, before terminating in Ushuaia. Ruta Nacional 40: this road skirts the Andes down the eastern edge of Argentina, passing through Bariloche, Esquel and close to El Calafate and El Chaltén. Before reaching Río Gallegos, it also travels near to Puerto Natales on the Chilean side – the main gateway to Torres del Paine National Park. For each highway, buses depart on a regular basis and stop at all main towns and cities, making it easy to hop between the different parts of Patagonia. Pricing varies depending upon the length of the journey, but a single from Buenos Aires to Bariloche costs from $130 for a cama seat. On the Chilean side, there is one main highway that allows visitors to easily traverse the Patagonian countryside. The Carretera Austral or Ruta 7: starting in Puerto Montt on the very edge of Chilean Patagonia, this road meanders through Chaitén, Puyuhuapi, Coyhaique, Puerto Río Tranquillo, and Cochrane, before terminating in Villa O’Higgins. To travel further south, buses from Cochrane cross the border into Argentina and join the Ruta Nacional 40 which follows the other shore of the Cochrane Lake. Again, prices vary between region, but a bus from Puerto Montt to Coyhaique starts at $57 single for a cama seat. Ferry connections are also required at various points to cross expanses of water along the route and may need to be booked in advance during peak season. Another comfortable and practical method of travel in Patagonia is to hire a car. International companies such as Hertz, Avis, Europcar, and Budget operate in Patagonia, as well as local rental companies. It’s worth planning a round-trip to drop off the vehicle at the same pick-up point as this can save you a lot of money. A 14-day round-trip car rental from Santiago International Airport starts at $480 and from Ezeiza International Airport in Buenos Aires, $760. Self-hire is the best way to access Patagonia’s more rural locations, but drivers should be aware that few of the roads here are paved and they can become muddy and even unpassable following heavy rainfall. 4WDs are not essential, but can be useful in mountainous areas or where there is snow. As with all forms of transport, booking early during the summer season is necessary to ensure a vehicle is available. Crossing between Chile and Argentina requires certain paperwork which can normally be acquired through the rental company and being in possession of an international driving license when driving in Chile is recommended as a way of speeding up any dealings with the carabineros (police). Another method of travelling in Patagonia is via a ferry or a cruise ship. From Puerto Montt in the north of Chilean Patagonia, four-day ferry journeys travel through the inlets and channels of the Chilean fjords to arrive at Puerto Chacabuco and Puerto Natales. Ferries from Quellón on Chiloé Island to Chaitén, near the top of the Carretera Austral, navigate through the fjords to Puerto Cisnes and Puerto Chacabuco, one or two times per week depending upon the season. Wildlife such as dolphins, seals, penguins and whales can be spotted from these boats and in good weather you can expect excellent views of the volcanoes and parks which line the Pacific coast. Prices start at $26 per person for a single trip. International cruises start from Punta Arenas in Chile or Ushuaia in Argentina and travel through the untouched wilderness of the southernmost Chilean fjords to penguin colonies and isolated glaciers. 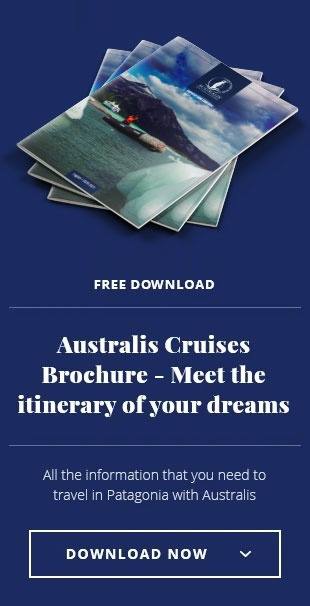 Visit the Australis website for more information regarding these cruises.